Hi! 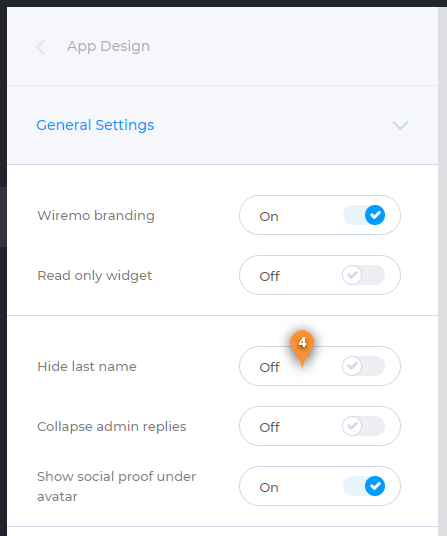 In this short tutorial, we will explain you how to hide your reviewer's last name in the widget. 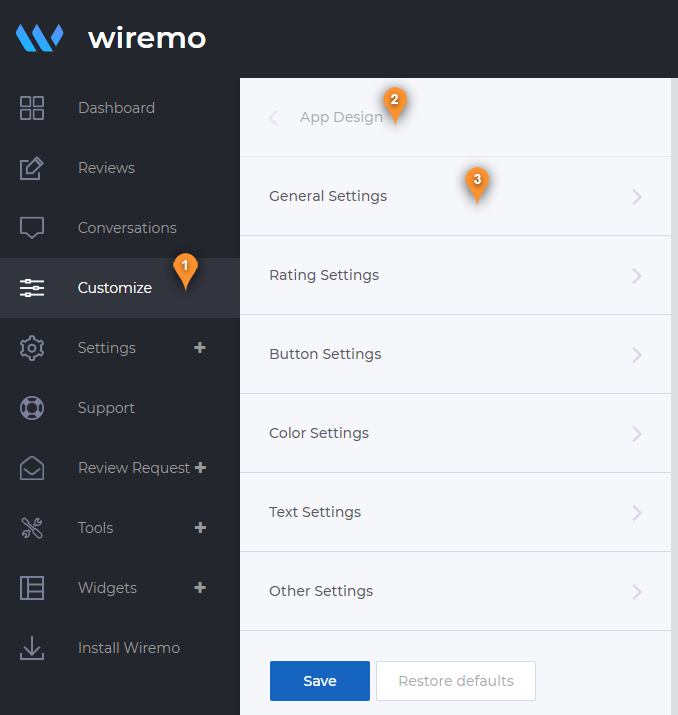 To hide reviewer's last name, please login to Wiremo Dashboard, go to "Customize" (pin 1), then choose the "App Design" section (pin 2) and click on "General Settings" (pin3). Now in "General setting" find the option "Hide last name" (pin 4) and enable it.